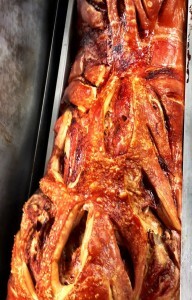 The Best Hog Roasts In Kent! Welcome to Spitting Pig Kent. 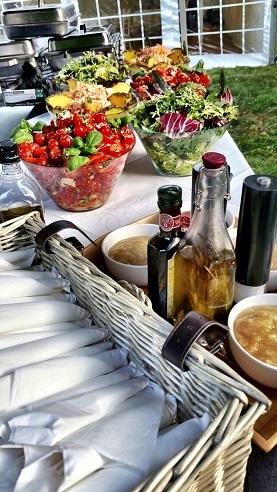 We are one of the leading outside catering companies in the UK; we are famous for our unbeatable hog roast and barbecue catering but can provide many other menu options as well. We specialise in private party catering, corporate event catering and wedding catering and have a vast variety of menus designed to meet these different types of events. Our speciality is a whole roasted hog, but we can provide pretty much any meat that you desire and will roast it on our state of the art machines to bring you a tender tasty meat treat that you’ll never forget! The glorious and most famous of the home, Kent is truly a gem in the crown of Britain when it comes to a place which is both great to live in as well as being a fantastic travel and holiday destination. Nestled down towards the very south east of the British Isles, the historic and illustrious region of Kent is home to the nation’s premier hog and spit roast catering provider. For many years now, we have had the delightful pleasure of providing bespoke hog roast wedding services at places such as Hog Roast Maidstone and Hog Roast Kent – to name but a couple of locations. By offering food and culinary based services which bring stunning cuisine to the venues and homes of our clients at functions, we have grown and flourished into one of the most successful catering enterprises in the region and beyond. In today’s world, the catering industry is more competitive than ever – which is saying a lot as it was a very competitive arena in the first place – not least in places such as Hog Roast Kent. However, in a business climate where many caterers are going under, our services have become more and more in demand. Through never compromising on quality within the whole range of our broad and eclectic range of culinary options, our customers just keep coming back for the food which they love. Of course, the fact that we utilise the spit roasting method of meat roasting within absolutely all of our event catering solutions is part of the reason of this success. It has many factors which make it truly applicable to the tastes and requirements of the British public today. First and foremost, the taste gained from this method of roasting is simply beyond the quality of any other process of meat preparation – its that simple. By roasting meats slowly, you don’t rush anything at all. In a world where all we do is rush, this laid back attitude rubs off onto the atmosphere of the event – allowing people to relax and enjoy each other’s company. Whilst roasting slowly, the meat retains moisture and thus retains flavour. So not only is the texture brilliant but the taste also. By utilising the finest meats available in the whole county – from places such as Hog Roast Folkestone – we really maximise the beauty of the slow roast method. The meats are sourced fresh and whole – so that whole carcasses are roasted over live flames in front of our clients. Giving simply stunning flavour, it also infuses any event with an effortless sense of theatre and drama. As a catering solution, our hog and spit roast services are diamonds with many facets – so your guests have so much to intrigue them From the sight of the roasting hog and all the accompanying dishes in Hog Roast Tunbridge Wells, through to the smells that are generated and of course the glorious taste – our events vastly out-gun the more standard forms of catering.With our celebrated hog roast machine hire option as well – there has never been a better time to enquire with us about a spit roast event in Kent. When you are looking for a hog roast Canterbury catering option for your social function which is happening in Kent, finding the best provider of this service is very important. Whether this is for a Faversham hog roast birthday party, christening or even an anniversary celebration feeding your guests is very important. Not only will this help to keep everyone who attends incredibly happy but this is very true especially if you want to provide long lasting memories that will be remembered in the weeks and months to come. 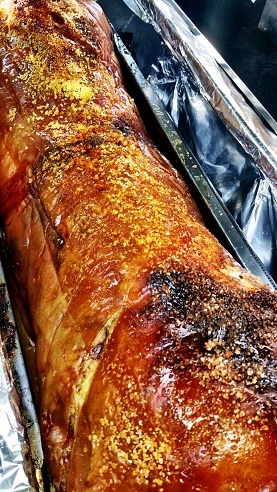 As we are able to provide our hog roast Sevenoaks catering services for all across Kent we are a very experienced company who can put this to your advantage so that the food which you wish to have will enable for this particular happening to be even more of a success. But what type of hog roast catering can we provide for you? The helpful answer to that is whatever you like. Unlike what other caterers might offer, we provide a flexible option which not only includes hog but also turkey, chicken beef and even wildebeest. 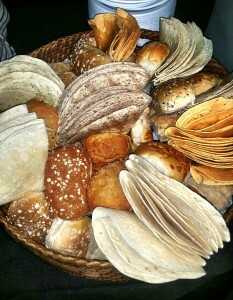 Even vegetarian options are provided for as well along with vegan food options too. Our services are also available if you wish to have a catering option which would require you to do nothing but sit back and enjoy your social function by playing the host or hostess. This means that if you require linen, waiters, waitresses and even dinnerware by hiring us for providing hog roast catering will mean that all bases will be covered. You won’t even know we have been at your event because all items of rubbish are taken away with not a single trace of discarded food or other item to be found anywhere. 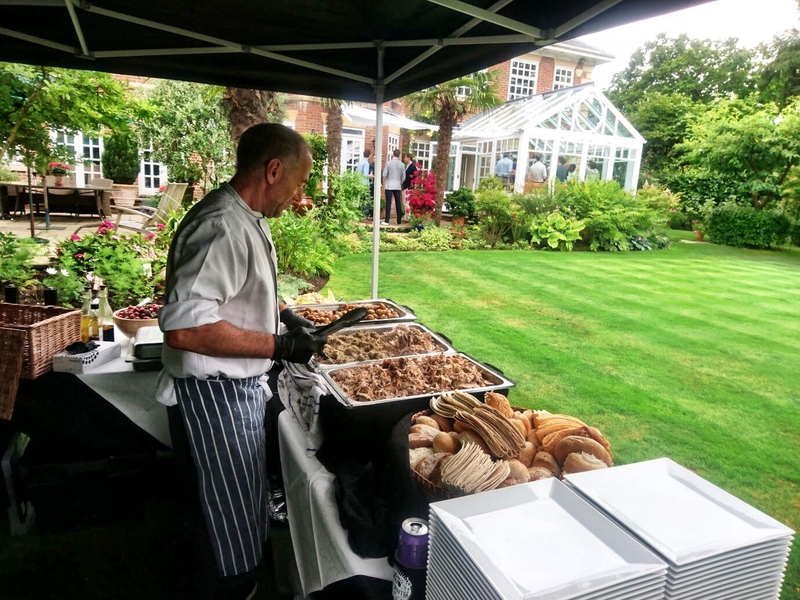 Although some caterers might not consider this as being important, we do because we aim to leave a low impact on the social function that we provide hog roast catering for. We understand completely that the budget which you have for your entertaining needs might not be as substantial as it once was. This is why we work closely with you so that any budgetary amount which is stated to us is strictly adhered to. We will never charge any additional extras for any of our social functions anywhere in Kent. We know how important it is for you to keep to your budget and this is why we provide a complete breakdown of our services long before we start to supply hog roast catering. As we operate all-inclusive catering service, we can provide tables, linens, and dinnerware. There are many different options to choose from just let us know exactly what you require and will arrange accordingly. Booking an event with us means your worries about how and what to feed your guests is over. We take care of everything giving you time to relax and mingle with your guests. When it comes to what types of events we cater for we really have no restrictions we are happy to supply our food for any size of gathering, we can also travel to anywhere in Kent and the surrounding areas. We don’t like anybody to leave left out at a Spitting Pig Kent event so for the animal lovers amongst us we have plenty of tempting vegan and vegetarian options. The1 Spitting Pig Kent is a hog roast company specializing in, well, hog roasting! However, our company has a lot more to offer, including a commitment to first class service, employment of ethical farming practices, and using fresh, local produce to provide only the best in cuisine. Our team has years of experience in catering events both large and small. We offer an extensive and exquisite menu with a variety of choices. Our planners will help you decide which of our sample menus fits both your taste and budget, and all sample menus can be adjusted to your wishes. Our hog roast Kent company uses state-of-the-art roasting machines developed and manufactured by our company. If full-service catering isn’t what you’re looking for, we can provide you with one of our machines to rent for your event. Our professional staff will show you how to operate the machinery, and you can option to have them stay for the event and serve. We leave the choices strictly up to you. Whether you’re planning an indoor or outdoor event, a formal or informal setting, we will work closely with you to make sure you’re getting exactly what you want for your celebration. Once you’ve had a meal prepared fresh from local ingredients, once you’ve tasted the succulent and savory roasted meat from one of our specialty machines, you’ll wonder why you ever considered anyone else to cater your event. Hosting a hog roasting event is a treat for all the senses. The aroma wafts tantalizingly for hours, and guests can watch the meat cooking as they wait for an absolutely amazing meal. For a celebration your guests will talk about for years, book a date with us today. So, what are you waiting for? With our incredibly helpful services provided for at amazing prices, you’ll be amazed at the assistance which we can give to you especially when you taste the marvellous food which we have delivered to each and every one of our customers. If you want to find out further information, we are able to answer all queries or questions by email and telephone. We promise that anything which you want to ask us will be answered as quickly as possible. We look forward to hearing from you. Copyright © 2019 Spitting Pig Kent . All Rights Reserved.